Use Winorama bonus code to register at the Winorama Casino and receive a welcome bonus of $7 with no deposit necessary, plus a 100% first deposit match up to $200. Find all the Winorama bonus code details in the table below. The Winorama Casino launched in 2016 becoming one of the newer players in the Canadian online casino market. The site offers NetoPlay software, giving users the chance to play many of their favourite slots, scratch card, bingo and instant games on demand. The site also features a number of promotions featuring bonus money and extra spins as well as a VIP program which rewards real money play on the site. For more information on the Winorama Casino and a reveal of the Winorama no deposit bonus code, read the full review below. Only new users of the Winorama Casino will be able to take part in the welcome bonus. All new users will be required to register for a Winorama gaming account in order to activate the bonus. 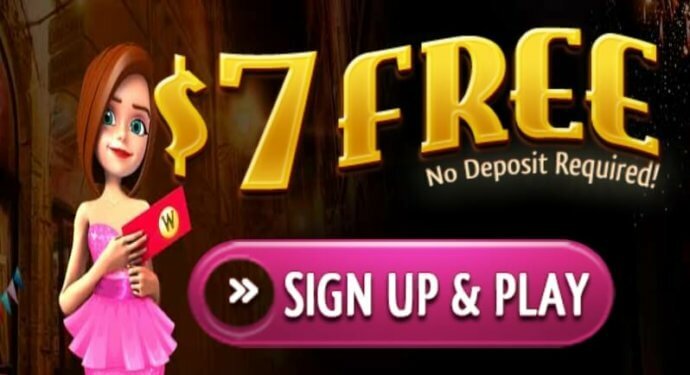 The $7 no deposit bonus will be released immediately after registration. A maximum of $20 can be won through the no deposit bonus. The 100% bonus on a user’s first deposit will only be activated by deposit of $10 or more. All bonus money acquired from the deposit bonus will be credited to a user’s account after they have successfully made a deposit. A 30X wagering requirement will be in effect, restricting withdrawals of bonus money from user’s accounts until the requirement is fulfilled. Users will have 90 days to complete the wagering requirement before the bonus money will be forfeited from their gaming accounts. How to Claim Winorama Bonus? To claim your Winorama bonus with Winorama bonus code, you will be required to first register for a Winorama account. To begin the process, visit the Winorama website and click on the ‘SIGN UP AND PLAY’ button found at the top of the homepage. A registration form will pop-up in a new window which you will be required to fill out with personal details. 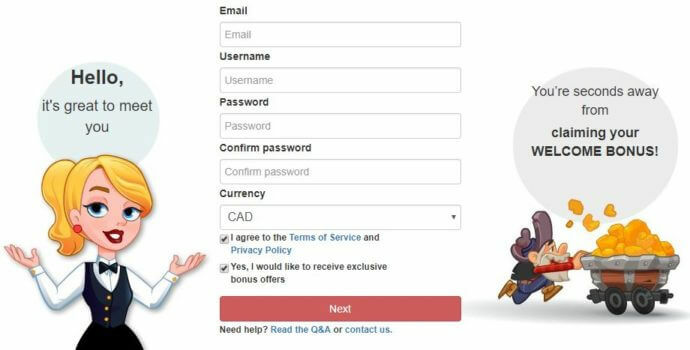 You will also be required to create a unique username and password combination which will be used as your login. After completing this action, the $7 no deposit bonus will be credited to your account. For the first deposit bonus, you will be required to make a minimum deposit of $10 using any of the payment methods available on the site. The bonus will be automatically released on deposit. The Winorama platform can be accessed on mobile devices from a browser-based client with no download necessary. Simply visit the Winorama Casino on your mobile browser and you’re good to go. A Winorama mobile app is currently not on offer, so users will not be able to access the Winorama gaming platform via iTunes or Google Play. The Winorama Casino games collection consists of a wide variety of scratch cards, slots, bingo and instant games, mostly from the NetoPlay casino games cache. Many of the scratch card and slots games have jackpots which can reach into the hundreds of thousands of dollars, giving users the opportunity to win money in a matter of seconds. Winorama attempts to give users a top casino experience which focuses on scratchcards and slots with a few bingo and instant games to compliment. The VIP program coupled with the promotional Winorama no deposit bonus code give users the chance to win extra money and start off on the site with a head start. If you didn’t like this offer with the Winorama bonus code, take a look at what Winspark has to offer.